With all the hype and anticipation that’s building for the upcoming reboot, it’s easy to overlook that Power Rangers has never really gone away. As last week’s article discussed, Power Rangers has been going strong for over twenty years, with a new season debuting almost every year since 1993. 2017 is no different, with Power Rangers Ninja Steel kicking off the latest iteration of the long-running franchise. 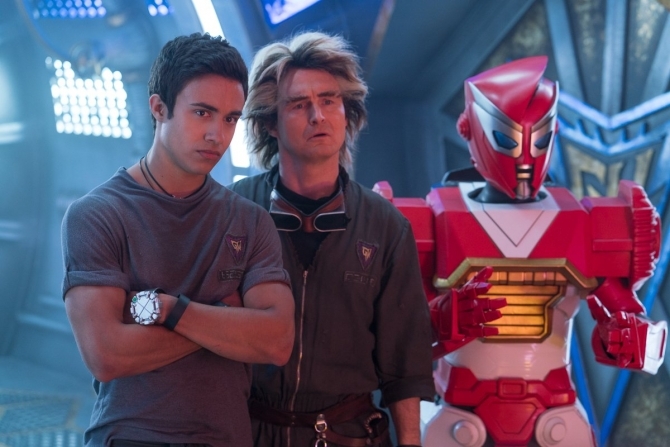 If the two-part premiere, “Return of the Prism” and “Forged in Steel,” are any indication, then Ninja Steel is on track to be a top-tier outing for the series. Ninja Steel does a great job of jumping right into the action, indulging in the sort of “just go with it” storytelling that works best with Power Rangers. In quick order, we’re introduced to a number of high concepts – an intergalactic battle game show of monsters, a mystical Spirit Crystal that contains magic throwing stars – without worrying about overexplaining any of it. The best Power Rangers seasons understand that fans will just go with whatever ridiculous opening concept it throws out, and Ninja Steel gets that. What makes it work as things go on, though, is the strength of the storytelling within the over-the-top premise. These opening episodes do a good job of introducing our core characters, with the focus falling on Red Ranger Brody as he escapes from the evil Galvanax’s space station. Brody has spent most of his life a prisoner following his dad’s defeat, and the story opens as he finally finds a chance to return to Earth and take up his father’s cause to defend the legendary Ninja Steel. The rest of the team, as is often the case early on, are little more than sketches, but they come across as likable enough. The standout is would-be magician and Blue Ranger Preston, with Peter Sudarso giving the team its most carefree, entertaining member. It helps that this is a solid group of actors, with no one delivering a wooden or unengaged performance; everyone seems to be aware of and enjoying the type of show Power Rangers is. This sense of fun and comfort expands to the supporting cast as well, with not a weak link in the chain so far. Victor Vincent and Monty bring the sort of lighthearted comedy that all of the best civilian friend characters have over the years, while series veteran Kelson Henderson is reliable as ever as the goofy shapeshifter Mick. The jury’s admittedly still out on Principal Hastings, who only has a brief scene between the two episodes, but she seems solid enough. The villains could also still go either way, with Galvanax not showing much personality yet beyond intergalactic conqueror. Admittedly, I’m a fan of humanoid villains over full monsters – the switch from Sledge to Heckyl was a huge improvement midway through Dino Charge – so I’m a bit biased against Galvanax to begin with. However, that there’s already hints of treachery and betrayal among the villain ranks gives me hope. Fortunately, there’s nothing to complain about in the action department, with the Ninja Steel Rangers delivering several great fight scenes throughout. 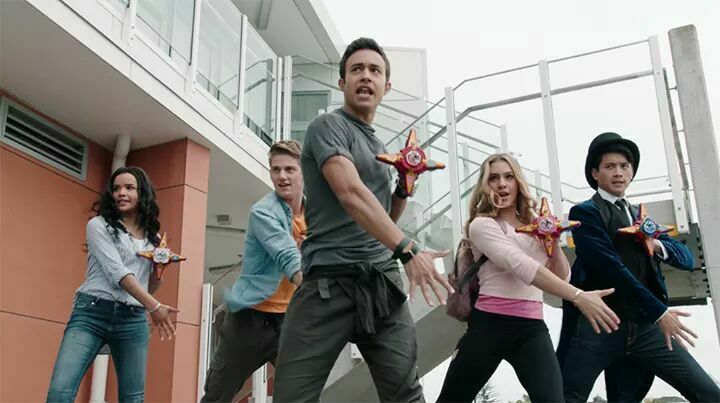 The action choreography is solid, and it’s always fun to see the Rangers use their Zords individually in battle. Visually, the Ninja Steel suits themselves are great, and the Zords are diverse in design and function. Great seasons haven’t always sprung from solid premieres, as the risk of storytelling stagnation is always a very real threat with Power Rangers. However, Ninja Steel delivers enough hints of a larger story arc developing that I’m feeling good about where things are heading. After over twenty years, Power Rangers still manages to deliver on the promise of fun, action-packed entertainment, and Ninja Steel seems on track to continue the legacy in fine fashion. Tags: Features, Morphing Grid, Power Rangers, Reviews, TV Shows. Bookmark the permalink.